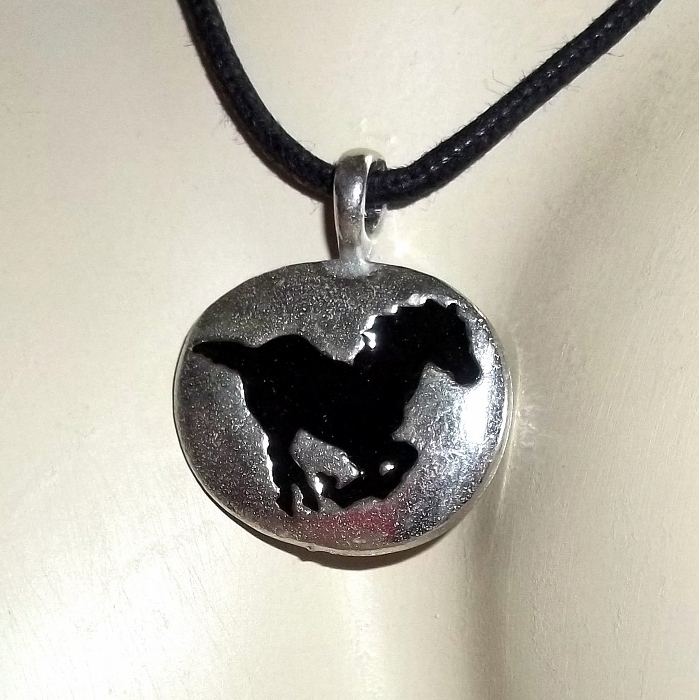 The Spirit Horse set in a unisex necklace with a black sliding knot cotton cord. 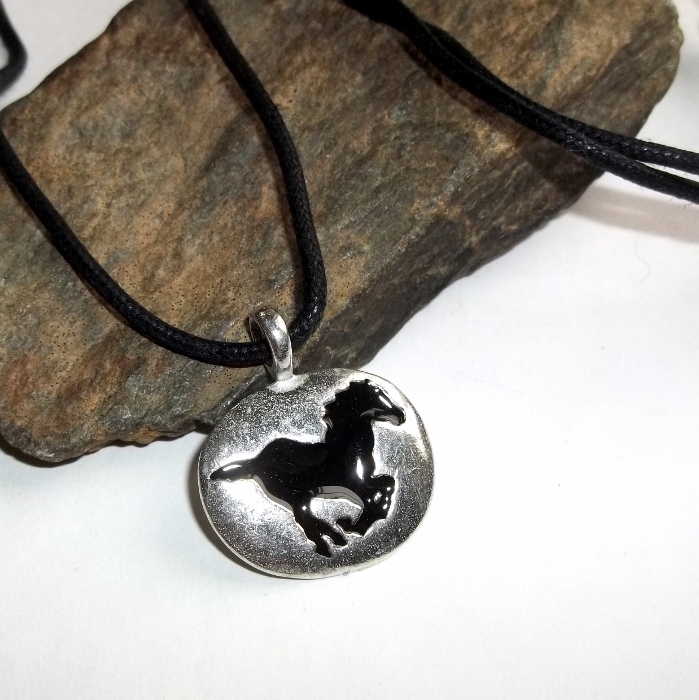 The Horse Spirit brings practicality, speed, strength and grace. 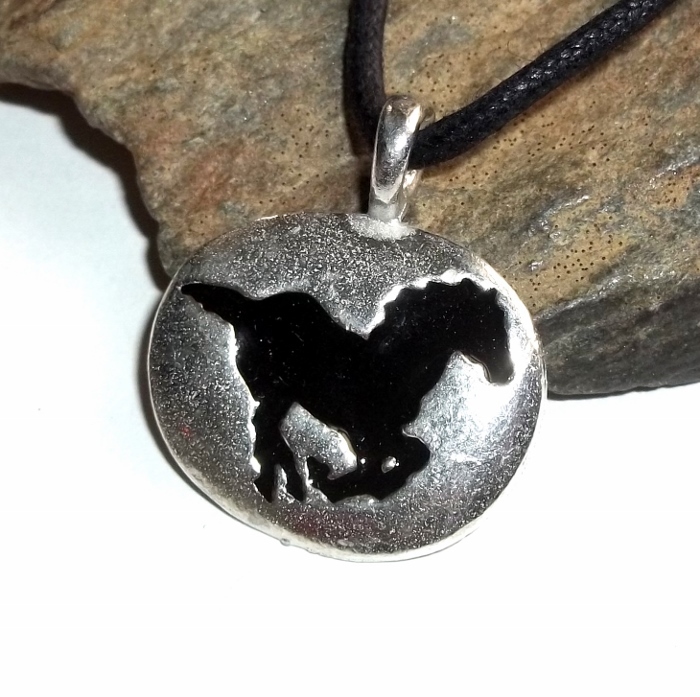 Horses have stamina, they are passionate, independent and ready for action. I ask you to enter this moment. And dancing in the freedom that always is. 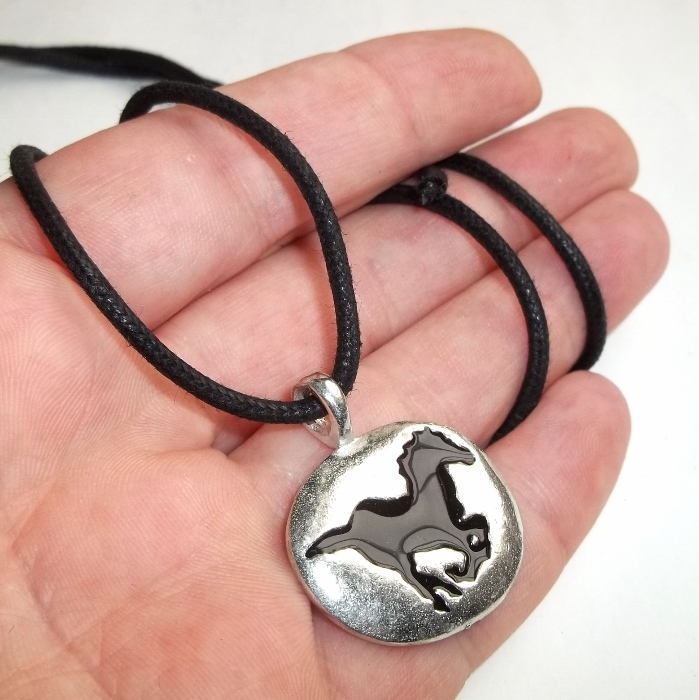 The Spirit Horse pendant is approximately 1 inch by 7/8 inch in lead free pewter.